When I was young, I spent a number of summers in Massachusetts with my family taking trips to Boston, Hyannis Port, Nantucket and Provincetown. I still have some extended family that live outside of Boston, but have not been out there in years. Those trips are a nostalgic touchstone to my childhood in that bitter sweet good and bad way that time and age create and have often become a thing I daydream about. One of the clearest memories is always the food, which is a totally unique mix of flavors and ingredients that is so unique to that area. We always frequented the same stops, over and over again on each trip, like a scheduled tour of sorts, so the places, towns, shops and restaurants my family visited are firmly etched into memory. 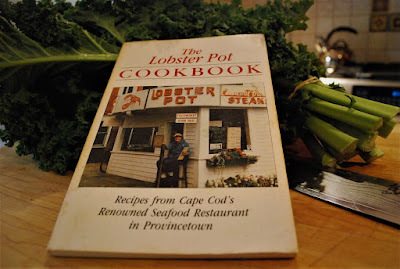 I still have an old and battered copy of The Lobster Pot Cookbook from 1991, the classic cookbook you could (and probably still can) buy from the famous restaurant in Provincetown, a place we visited on every trip to the Cape, and the first place I ever tried Portuguese Kale Soup. I recently spent quite a bit of time talking to and working with a colleague in the seafood industry who is originally from Massachusetts. We talked about a number of memorable things, but one of the things we talked about most was of course food. My friend is of Portuguese ancestry, and when I asked him “what is your favorite Portuguese food?” his immediate response was “Kale Soup”. He told me how much he missed having it and how it was impossible to find here in New York. Coincidentally I had, in the past year, been making Caldo Verde on a semi-regular basis in the fall and winter and told him I would type up my recipe for him to try, and this column is a result of that promise. This Bourdain-esq favorite takes all day to cook, 5-8 hours cooking time minimum, but is utter simplicity to prepare. I like to make it on those slow snow or rain days in the fall where you are trapped indoors. I usually get things started when I make my morning coffee, adding the different staged ingredients throughout the day, and generally just keeping an eye on it from time to time. The actual time it takes to physically prepare the ingredients adds up to about fifteen minutes of labor, spread out over the whole cooking process. Alternatively you can use a crock pot set up in the morning with all the ingredients combined at once and cook it low and slow, but for the ideal results it is best to take your time and go through the process with more traditional cooking methods. 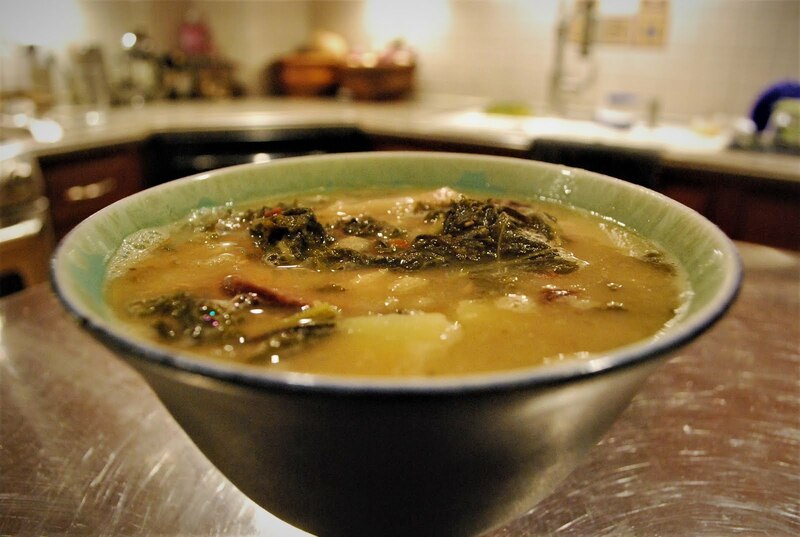 My version of this soup is simplified and basic. It relies on letting the cooking time coax out the flavors from the high quality but low cost ingredients. In a large pot or Dutch oven place the beans, smoked pork, and a pinch of salt with 6+ cups water and bring to a boil (uncovered). Reduce heat and simmer for 2 hours. Using a slotted spoon skim off and remove any foam that forms at the top of the water, repeating as necessary throughout the cooking process. Add the Chorizo or Linguica along with the Kale and simmer another hour. Add the potatoes, onion, red pepper flakes and Sherry/Brandy and simmer for at least another hour, adding more water as needed to keep all ingredients submerged. 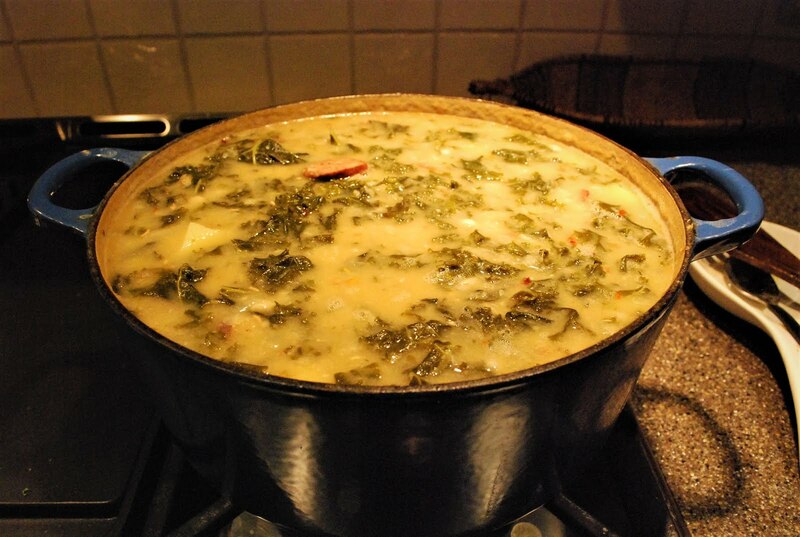 The longer the soup simmers, the better the results. Remove any bones/cartilage from the smoked pork (discard). Add the butter, salt and pepper to taste just before serving. Serve hot with fresh Portuguese bread. 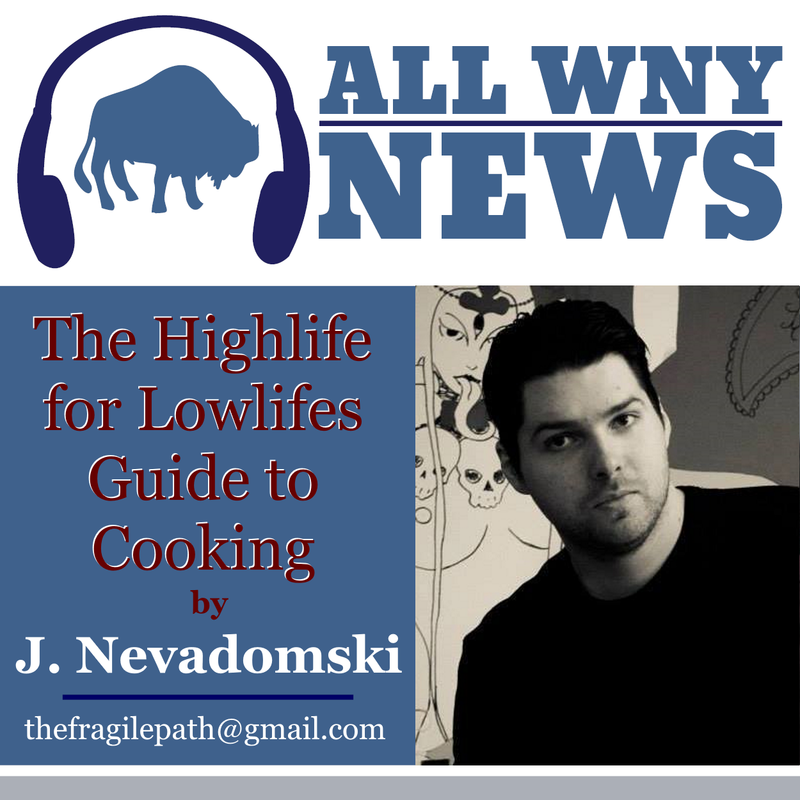 J.Nevadomski is an accomplished musician, artist, art director and gallery curator from Rochester NY. He has recorded with musicians from all over the world for his project “The Fragile Path” and is a veteran artist whose paintings have been featured in galleries, newspapers and exhibitions throughout Western NY. In 2012 he was the “artist guest of honor” at RocCon: Rochester’s Anime, Sci-Fi and comic book convention. He is on the board of directors for Flower City Comic Con (FC3) serving as art director, is the resident curator for the art gallery at Bread & Water Theatre. He lives in the Park Ave area of Rochester, keeps a yearly urban vegetable garden and regularly cooks and hosts dinner parties for friends and colleagues.